When you go to college, they never really tell you how hard it can be to find a teaching position (in some states), and the politics of teaching aren’t discovered until you have your own classroom. And with the educational pendulum so far to one side, lack of support, parent demands, the never-ending-paperwork, little to no curriculum, large class sizes… let’s be real, it’s no secret that many teachers are leaving the profession altogether. But the kids are why we do what we do. The kids are our why. The kids make all of the hardships worth it. That will never change. And for some of us, being an educator is what we feel we were meant to do. We were put on this Earth to be a teacher. That, also, will never change. We don’t want to give up being a teacher, but the demands of the traditional classroom are breaking us. Myself included, as I’ve publicly documented my struggles with teacher anxiety and how I left my Texas classroom mid-year. As educators and professionals with degrees (many of us with multiple certifications, Master’s Degrees and PhD’s) we have so many more options than what society leads us to believe. 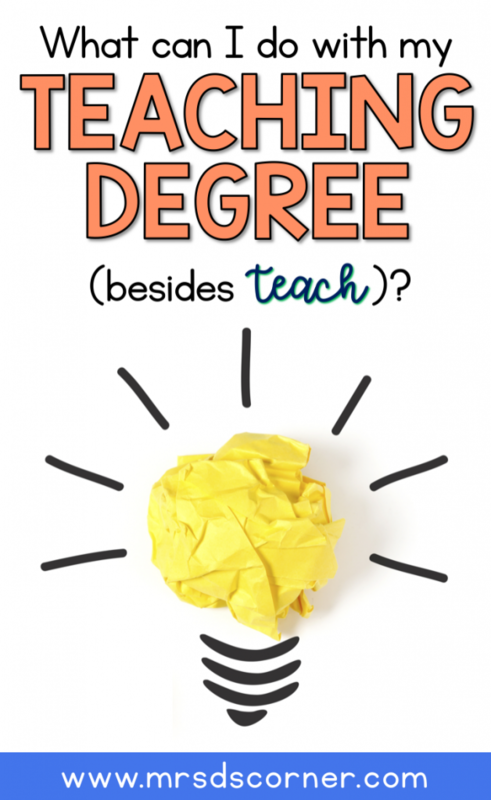 In this blog post, I am going to outline a few options you have as a special education teacher (outside of the traditional classroom setting), given the skills you possess as an educator. Other abilities: consulting, training, instructing, advising, mentoring, critical thinking, assessing, monitoring, analyzing, evaluating, grading, planning. TIP * if the time comes where you are updating your resume for a new job in education, but outside of the traditional classroom and you need more skills, I recommend looking at job postings for the position(s) you want and using those associated skills as strengths (if you have them; don’t lie or stretch the truth!). 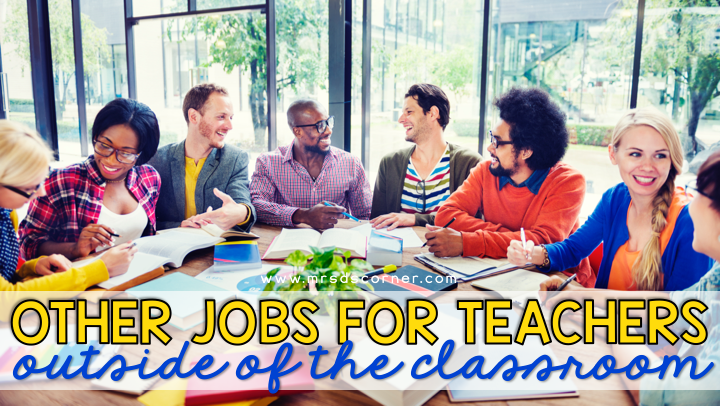 These are jobs that will keep you within the field of education, but don’t necessarily look like the traditional classroom teacher. And I’ll break them down into two categories, online jobs and conventional jobs. *Some jobs listed may require additional training and/or degrees. My biggest piece of advice when you begin looking outside of the traditional classroom setting for something new is to keep an open mind. Use your powerful, honed-in skill sets to re-light the teacher fire within your soul. To find job openings in your area or online in any of these fields, I recommend utilizing Google Search to find the right path for you. Do you have any jobs that you would add to this list? Hi, You can become an online tutor in any subject area. I know online tutors in math, reading, chemistry, SAT, ACT, TOEFL, ESL/EFL, writing etc. A lot of teachers start their own online tutoring business.